Ok, so, I may be a little late, but if you haven’ already, be sure to pick up the December issue of Black Enterprise. Why? Well, plus size fashion blogger turned MTV TJ Gabi Gregg is on the cover. This fabulous young woman is surely making a name for herself and she’s using social media to do it. This is mega for a blogger to be on the cover of a magazine period. SC loves that Gabi is following her dreams and doing it ever so fashionably. Congrats Gabi! 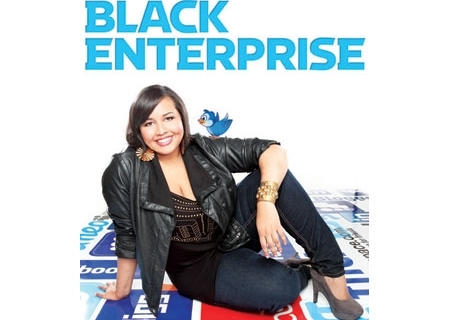 In the magazine Gabi gives Black Enterprise her tips on how to avoid Twitter mistakes and how to utilize social media. Yes, Twitter is a great place to let people know what you’re doing. But if that’s all you’re doing, it’s not going to work. “You can’t just go on Twitter and type in the title of your blog post and link to it. Or you can’t just say, ‘Oh, look what’s new here.’ It has to be a conversation. And that’s what’s so amazing about Facebook and Twitter—that you can engage with your audience. You shouldn’t just post something and go on with your day,” Gregg says.